Apple subsidiary FileMaker on Monday introduced the next major version of its flagship database application for Mac and Windows. FileMaker 10—which includes the Pro, Advanced, and Server versions of the database product lineup—is now shipping. Perhaps the biggest change in FileMaker 10 is the interface. 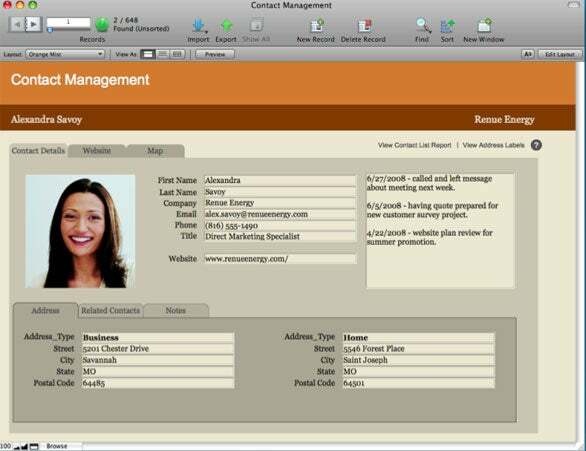 The application has undergone some interface tweaks over the years, but nothing as dramatic as what users will see in FileMaker 10. The buttons in the FileMaker interface now allow the user to access the most common tasks. This makes it easier for users to accomplish changes to the database without going through menu commands. The interface isn’t the only major change in FileMaker. The database also has the ability to import data from an Excel 2007 spreadsheet. FileMaker Pro 10 features what the database maker is calling the biggest change to the application’s interface in more than a decade. FileMaker now has dynamic reports, which means that if you can see it, you can edit it. Rosenberg explained that there is no longer any need to re-run a report after making changes to a database—whatever is changed in the database automatically gets update in a report. FileMaker 10 includes an updated Quick Start screen and Resource Center. The updated help centers now include videos, which will help users get going faster, according to the company. The new version also includes 10 new themes from the company’s personal database product, Bento. FileMaker 10 will open FileMaker 7, 8, 9 databases without a problem. Older databases will need to be converted, but that will be done automatically for you, according to the company. FileMaker also updated its server products to include the ability to publish sites for the iPhone and send e-mail via SMTP directly. With FileMaker Server 10 Advanced, you can have 999 concurrent connections—four times that allowed by FileMaker Server 10. FileMaker said that 70 of the Fortune 100 companies, 10,000 schools worldwide, and 50 of the largest U.S. universities use its database application. FileMaker Pro 10 costs $299; upgrades will be $179. FileMaker Pro 10 Advanced will cost $499; upgrades will be $299. FileMaker Server 10 will cost $999; upgrades will cost $599. FileMaker Server 10 Advanced sells for $2,999; upgrades will cost $1,799.